Math Tutoring in Santa Monica, California. Our office provides in home and online math tutoring services in the following locations including Santa Monica, Venice, Oakwood, Ocean Park, Wilshire Montana, North of Montana, Mid-City, Northeast, West Gate Heights, Sawtelle and Picoin California. Club Z! Tutoring of Santa Monica, CA in-home and online math tutoring provides individualized math instruction for all mathematical subjects and skill levels, including elementary math, middle school math, high school math and college math. We understand that each student learns differently, which is why we work with the student, parents and teachers to develop a plan for success in math. Club Z! Tutoring of Santa Monica, CA math tutors can not only help students catch up, but also get ahead! If you’re preparing for the SAT or ACT college entrance exams and need some math prep work to help reinforce certain concepts, Club Z! math tutors can help. Or if your child wants to enroll in an AP or IB class and wants to make sure he/she is ready for the rigorous coursework, a Club Z! math tutor can help. 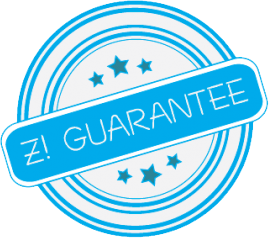 Whatever the need, Club Z!’s qualified math instructors are ready to help your child excel in math. And as always, our tutors communicate regularly with the classroom teacher(s), and the parents to ensure that everyone is working collaboratively toward the student’s success. This is a cornerstone of the Club Z! program and has helped our students see tremendous results in a short period of time. In fact, our average student improves 2 letter grades in just 60 days. So if you’re looking for a great math tutor, call Club Z! Let us match up the right tutor for your student and get started on the road to success today! Fill out our request tutoring form above to get started with math tutoring or call 424-214-0709 to speak with an Educational Specialist. In addition to Santa Monica, our office offers math tutoring services in the following locations: Santa Monica, Venice, Brentwood, and Pacific in California. Study Skills Tutoring with a Club Z! Tutor. Club Z! Tutoring of Santa Monica, offers a comprehensive study skills tutoring program. If your child is struggling to keep up with homework and class projects? Do they need help getting and staying organized? Or could they benefit from better active reading skills? If so, then it is time to start studying smarter, and not harder! Pre K Tutoring with a Club Z! Tutor. Club Z! Tutoring of Santa Monica, offers a complete pre k tutoring readiness program. With Club Z!’s proprietary kindergarten readiness program, we will help your child prepare for their first big day! Our proprietary Let the Learning Begin™ pre k tutoring program makes preparing for kindergarten as easy as 1-2- 3! College Tutoring with a Club Z! Tutor. Club Z! Tutoring of Santa Monica, offers college tutoring in a variety of subjects to help students succeed, even in their most difficult college classes. Our college tutors are rigorously vetted, and can help you in college courses such as: college level Algebra, Calculus, Statistics, Biology, Chemistry, Organic Chemistry, or Physics. Club Z!’s top-notch college tutors can help. Writing Tutoring with a Club Z! Tutor. Club Z! Tutoring of Santa Monica, writing tutors will tailor a specific writing strategy to each individual student and will work with both parents and teachers to ensure success. Club Z! writing tutors will help your student learn to write and ultimately master writing skills such as: Spelling, Grammar, Punctuation, Sentence Structure, Singular & Plural, Past & Present Tense, and Creative Writing. Reading Tutoring with a Club Z! Tutor. Club Z! Tutoring of Santa Monica, reading tutors are thoroughly knowledgeable and skilled at helping students in elementary school, middle school, high school, and even college with a variety of reading issues such as: Reading Comprehension, Reading Fluency, Vocabulary Development, Letter, Word Recognition, Decoding, Phonics, Word Pronunciation, and Learning Disabilities. Math Tutoring with a Club Z! Tutor. Club Z! Tutoring of Santa Monica, in home and online math tutoring provides individualized math instruction for all mathematical subjects and skill levels, including elementary math, middle school math, high school math and college math. Our math tutors are experienced in tutoring students on a diverse range of math subjects, including: algebra, geometry, calculus and trigonometry. Foreign Languages Tutoring with a Club Z! Tutor. Club Z! Tutoring of Santa Monica, offers foreign languages tutoring in a variety of languages. Whether you are taking Spanish in school or want to learn Mandarin Chinese for personal/business reasons, Club Z!’s foreign language tutoring has the foreign language tutors you need to help you master a second language. Science Tutoring with a Club Z! Tutor. Club Z! Tutoring of Santa Monica, in-home and online science tutoring provides individualized instruction in all scientific disciplines, including earth/life science, biology, chemistry, and physics. Our science tutors work hard to ensure that each student has the knowledge and learning in science that will lead to future success.